Blueberries, lemonade, blondies — oh my! 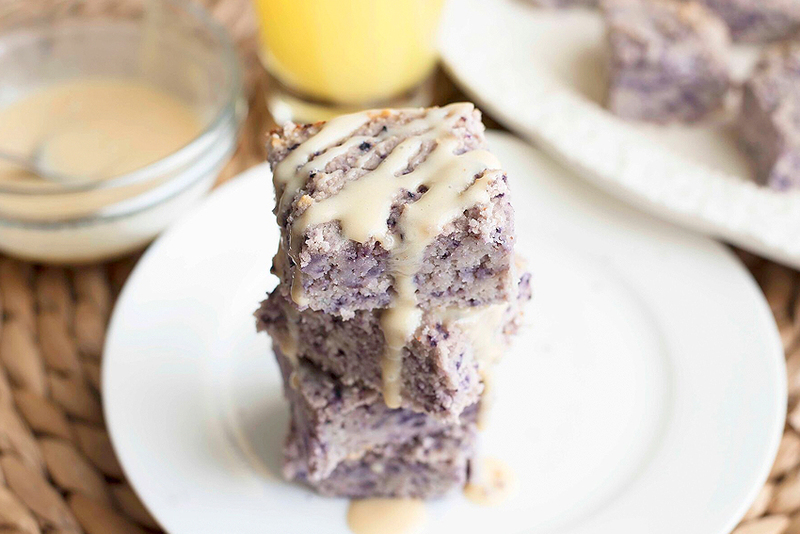 Perfectly soft and scrumptious blueberry blondies topped with a sweet and tangy lemon icing. 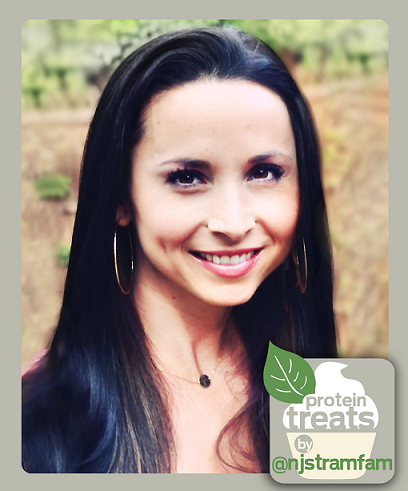 Let’s not forget that they are figure friendly, providing only 144 calories per serving! The deep blue/purple color of the blondie is from the real blueberries that are blended in the batter. No artificial coloring over here! 1. Preheat oven to 350 degrees F and grease a 2-quart (7×11”) baking dish. 2. Combine the first 5 cake ingredients in a blender or food processor. Blend together until mixture is smooth and blueberries are blended well. 3. Combine remainder of cake ingredients in a mixing bowl. Pour wet ingredients into bowl of dry ingredients. Stir to combine. 4. Pour batter into baking dish and smooth down with the back of a spoon. 5. Bake in the oven for 36-40minutes. Let cool completely then slice into 18 squares. 6. Whisk the icing ingredients together, slowly adding enough water to reach desired consistency, and drizzle on each blondie.